This is the coldest, wettest spring that any of us youngsters can remember. After slopping through mud for the last month and a half, things might be looking up. At least the Magnolias have started to flower, showing us that it is time to get on with things. Veggie gardening will be very delayed this season. If you have planted your early crops you might consider reseeding as there is a good chance that your seeds will have rotted after the first sowing. Sow again soon as the weather will be warmer and germination will be quicker. It is also a good time to do some lawn fixing, including reseeding and fertilizing. We receive 5 – 8 trucks a week during this part of the season and deliveries will remain at a steady pace until the end of May. 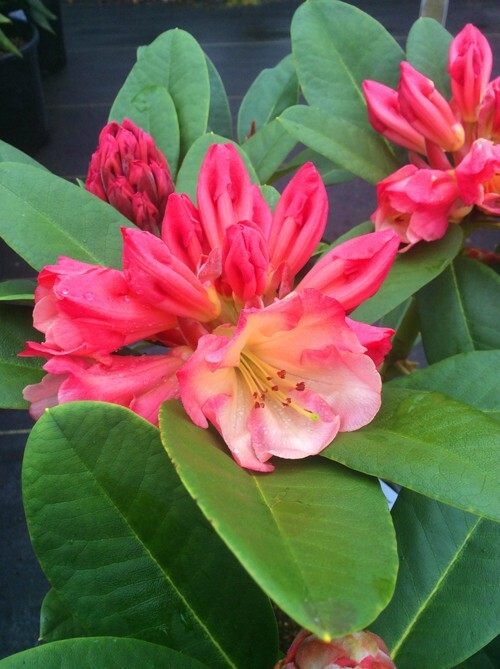 We have some beautiful new varieties of Rhododendron, Bare Root Fruit Trees and Roses. Honey Butter Rhododenron looking all buttery. 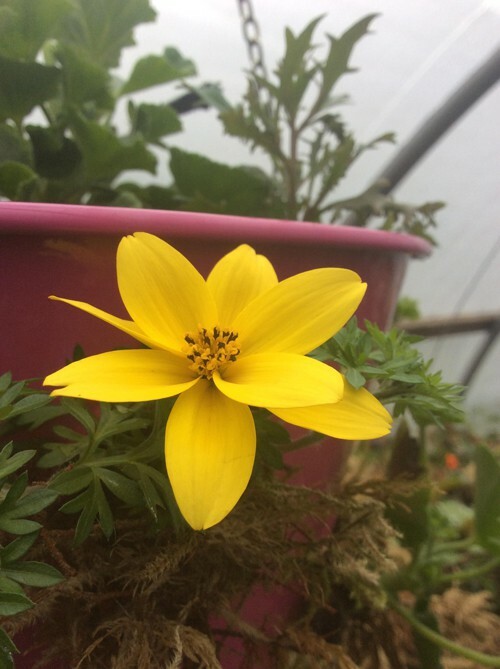 Basket Making is in full swing, still lots of time to get your custom bookings in and remember that we do give you a discount if you bring in your hanging basket containers – they must be emptied of soil and plants please. Bidens looking so smugly at a grey sky. 50% off Ugly Plant Sale. Yes, it is delayed this year. The sale starts April 15th and lasts until the supply is gone. We select about $1000 worth of inventory every year that isn’t perfect, but it is healthy. We sell it at 50% off regular pricing – no warranty, exchanges or returns…because it is a good deal. 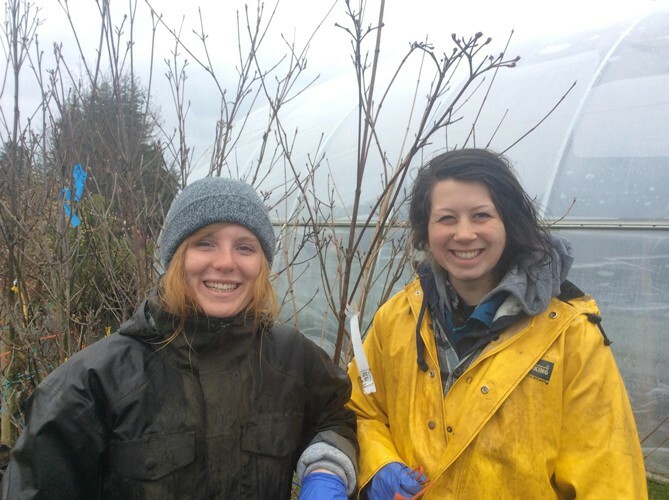 We are so proud to announce that our Emily and Maddie have both completed Level Two of the Hortiultural Technician Red Seal – both with exemplary grades. 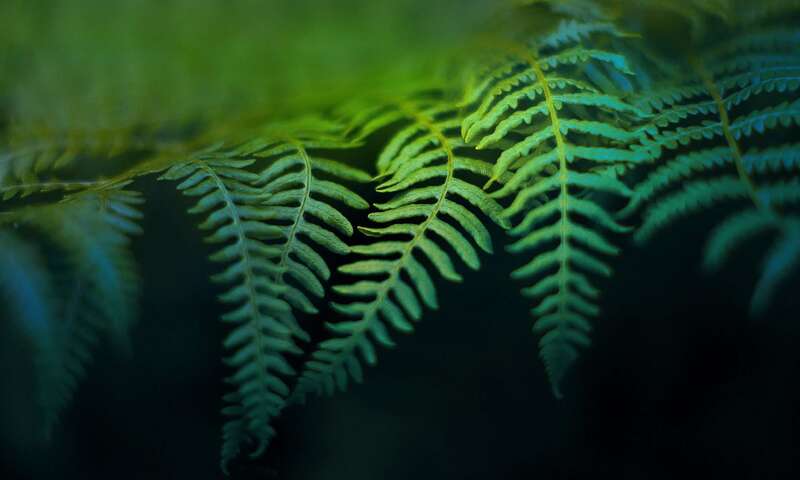 Come on in and congratulate them – and then ask a really technical horticultural question. ☺ Emily B and Maddie G these ladies are sunshine! So in summary, it is time to garden, time to be grateful that our rivers, wells and aquifers are all recharging at a steady rate.